A match that could decide a title. A game that could make or break a legend. An encounter that could see the world's most storied club brought down to earth with a bump. Yep, that's pretty much what's at stake in La Liga on Thursday, never mind all of the shenanigans at the Etihad today. Real Madrid is playing a catch-up clash at Villarreal with a heck of a lot at stake. A win and Madrid move to within five points of Barcelona at the top of the table. Not ideal, but not the end of the world. A loss or even draw and the journey to the top of the standings to beat back Barca will be football's version of a hobbit climbing Mount Doom with shin splints. On paper, the game does not look too testing for Madrid. Villarreal tend to fare fairly badly against the Bernabeu outfit and the Yellow Submarines are quite unexpectedly mired in the relegation zone. However, a recent change of coach with the experienced Luis Garcia taking over the helm makes Villarreal a more dangerous challenge for Santiago Solari than it may appear. "We are taking on the same team but with different characteristics," admitted the Real Madrid manager. Find out if Madrid can begin 2019 with a bang or a full-on CRISIS! live on beIN SPORTS at 3:20PM ET / 12:20PM PT. Mind games! That was the theme of the build-up to the Premier League's encounter on Thursday that sees Manchester City hosting Liverpool in the final match of a frenetic period of activity in England. The gap between Pep Guardiola's men, currently in third, and Liverpool at the top of the standings is seven. A home loss for City against Jurgen Klopp's side would produce what could be an insurmountable 10 point-gap despite a good half of the season left to go. However, the eternally cheery German chappy in charge of Liverpool was having no talk of Liverpool's apparent superiority. "Still the best team in the world," was the declaration from Klopp on Thursday's rivals. The Liverpool boss also revealed a detailed tactical plan to repeat the footballing pain inflicted on City in the Champions League quarterfinals last season - "we have to be brave, full of desire, angry - all of that stuff." "It's almost a final for us," admitted Guardiola from the Manchester City camp, "we know what we are and what we have to do." 24 hours after Chelsea stumped up a good $70 million for Christian Pulisic, who will join officially next summer, Mauricio Sarri has made more demands on his bosses with a call for a brand new, functioning striker. Chelsea was shut-out 0-0 by Southampton in the Premier League on Wednesday night and Sarri has hinted that a new forward was needed ASAP. "The club knows my position, my opinion," said the Italian to fuel further links with a complex move for Gonzalo Higuain, currently on loan at Milan but owned by Juventus. Technically speaking, Chelsea own Michy Batshuayi who has been struggling on loan with Valencia. That deal might be cut short with the forward heading to Crystal Palace instead. Malcom is back in the middle of the transfer speculation with renewed reports that Barcelona will be looking to cut the losses of a $45 million investment by selling the Brazilian midfielder to either Everton or Guangzhou Evergrande. Malcom joined Barca in the summer from Bordeaux, after apparently agreeing to head to Roma but has played a very peripheral role at the Camp Nou with just 97 minutes played in La Liga this season. If either Valencia, Sevilla or Betis are going to land West Ham and Mexico striker, Chicharito, this winter window then the price is going to be costly with AS reporting that the fee being demanded by the EPL club is $22 million. 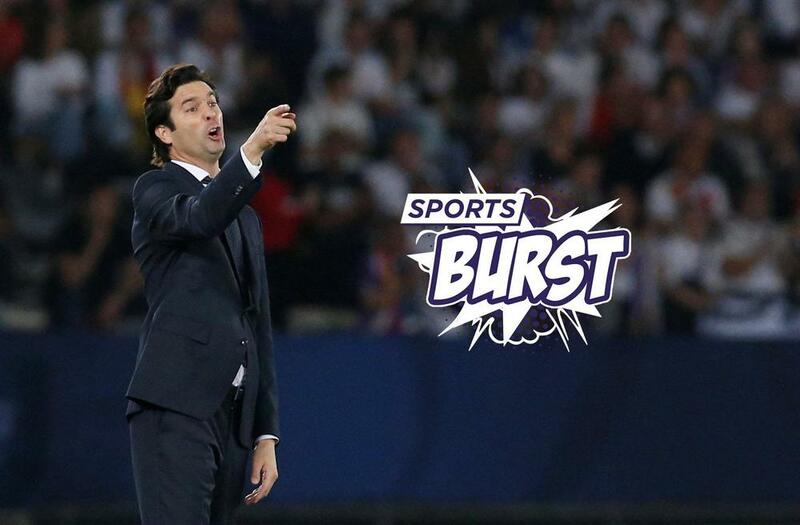 The live Sports Burst show is the place to be for all the transfer chat. Just head to our beIN SPORTS Facebook page at 12PM ET / 9AM PT or you can simply watch back at your leisure.